Slide the DVD-ROM drive into its bay. Connect the DVD-ROM drive to the flex cable assembly. 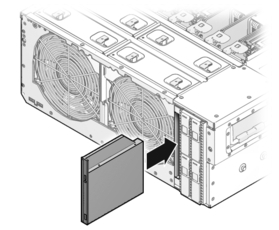 Install the flex cable retainer. Place the retainer into position and tighten the captive No. 2 Phillips screw.